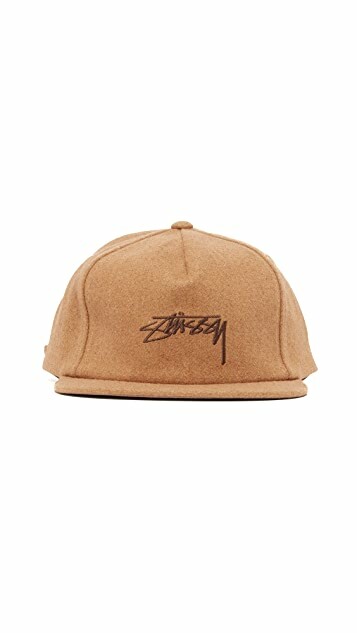 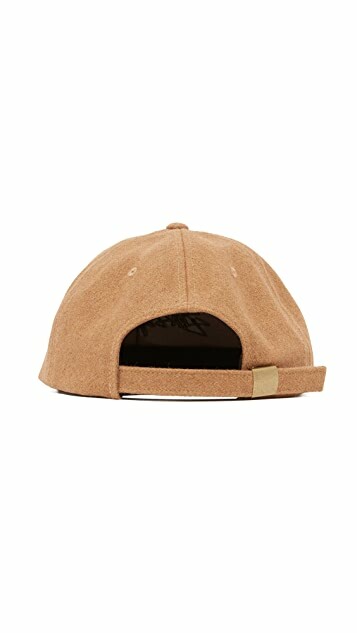 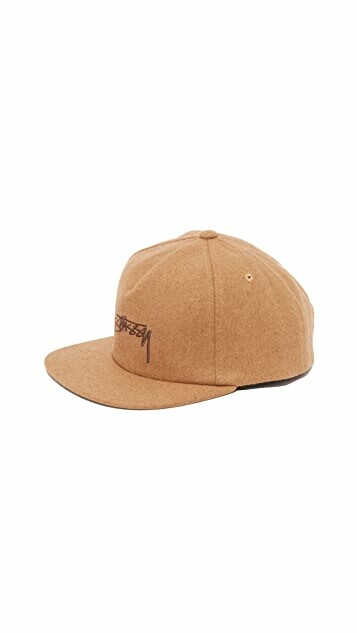 A 6-panel Stussy baseball hat crafted in brushed wool with a cool 6-panel design. 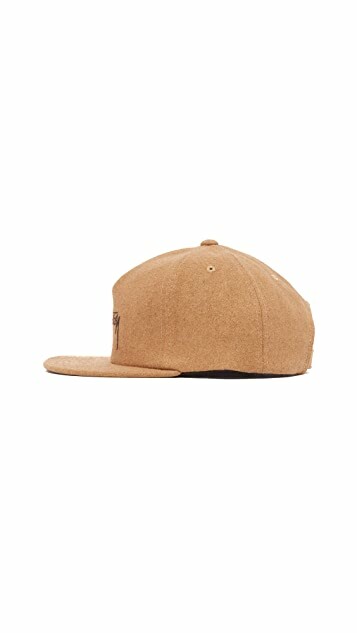 Flat brim. 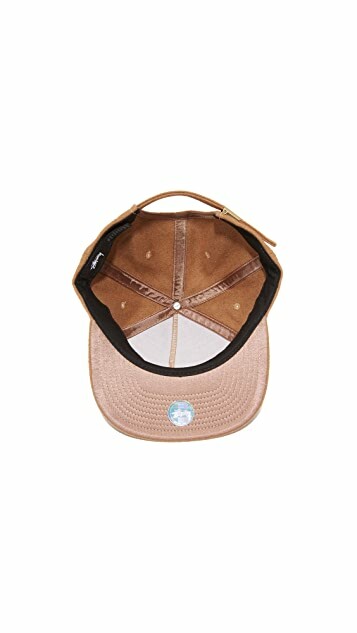 Adjustable snapback.